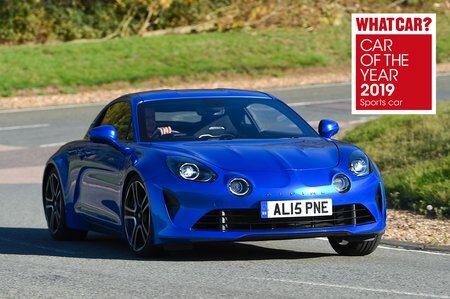 Alpine A110 Boot Space, Size, Seats | What Car? 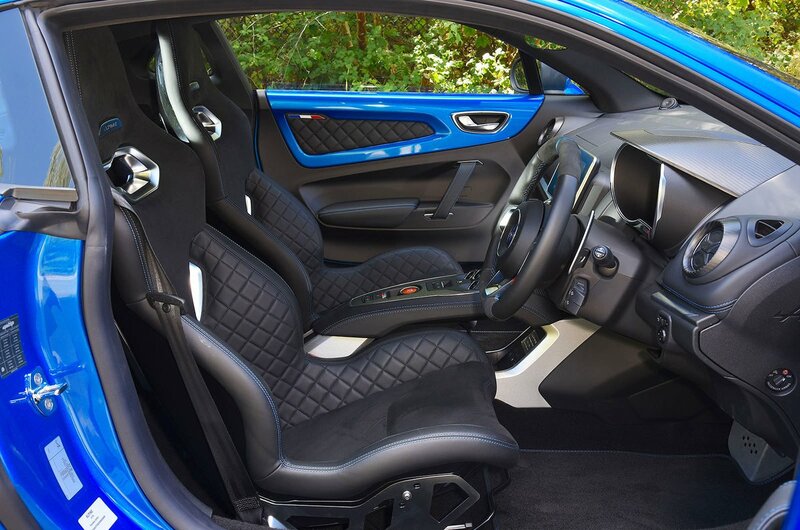 Don’t be fooled by the A110’s diminutive dimensions; even if you're well over six feet tall you'll fit without feeling hemmed in, because the seat is mounted low and there are humps in the roof to aid head room. The front seats slide back a long way, too. Storage space is a weak point, though. There are no door bins or a glovebox, but there is a large tray between the seats that can easily hold a large smartphone, a wallet and a few other odds and sods. It’s here that you’ll also find USB sockets for charging and connecting your devices. Below the heater controls is a slot that’s the perfect size and shape for the car’s key fob; you also get a solitary cupholder. And, assuming occupants aren’t too long-legged, there’s room to fit a few bits and pieces behind the seats when they're not slid fully back. Being mid-engined, the A110 has not one but two boots, each of which are about the same size. 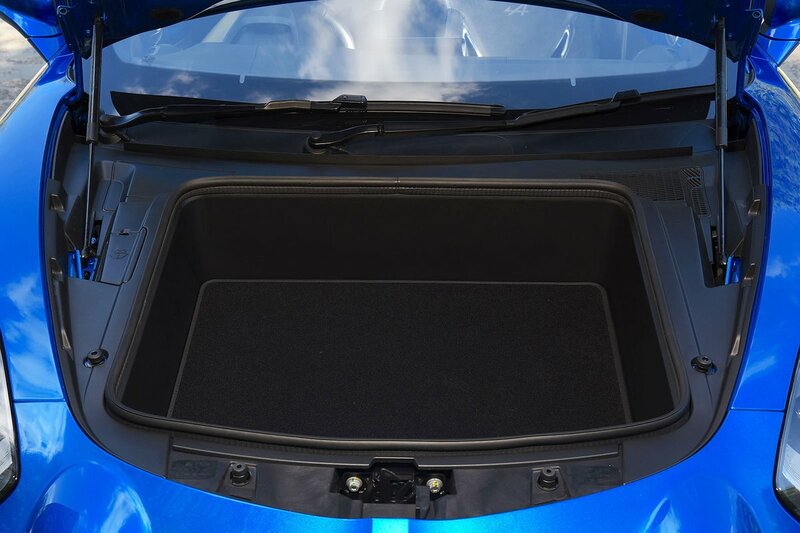 Don’t get too excited, though; the front boot is very shallow and can only take one carry-on suitcase. The rear one is hampered by a tiny opening but is big enough for a squishy overnight bag, if you don’t mind squeezing it in. You’ll certainly need to leave your golf clubs at home – or make your passenger walk.